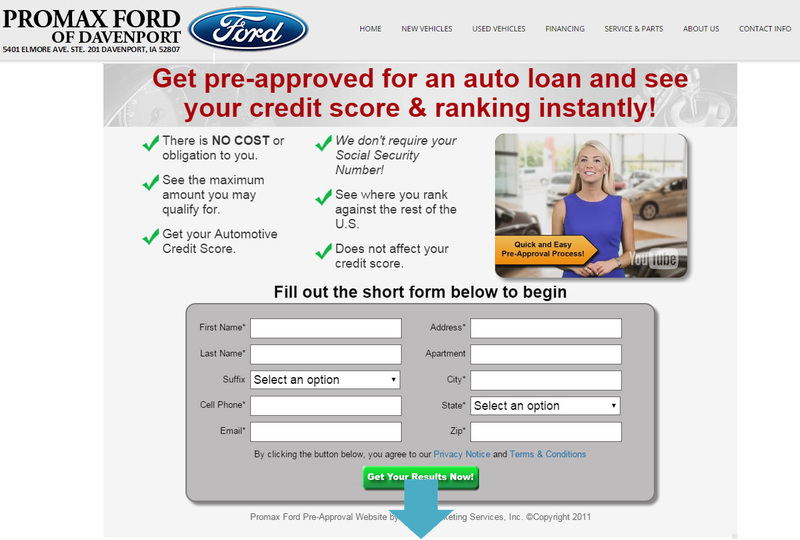 Get preapproved internet leads into your dealership with easy app. We offer versions of this product through both TransUnion and Equifax. 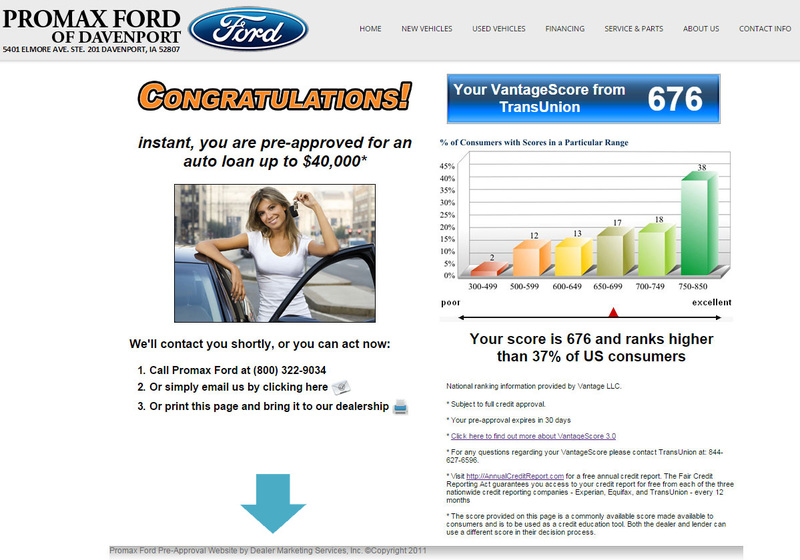 Screenshots on this page represent the TransUnion version. Directly from your website the customer fills out quick and easy short form – no SSN# required! and their exact credit score!